This latest collection of excellent contemporary writing, from more than fifty contributors, features new work by – among many others – Sheena Blackhall, Jim Carruth, Regi Claire, Lesley Glaister, Andrew Greig, Hugh McMillan and Marion F. Morrison. How can works of the imagination help us to understand good and evil in the modern world? In this new collection of essays, Alex Danchev treats the artist as a crucial moral witness of our troubled times, and puts art to work in the service of political and ethical inquiry. In The Book of Iona, as on Iona itself, the sacred and the secular rub shoulders. Here is where a medieval Gaelic-speaking monk encounters Seamus Heaney, and where Robert Louis Stevenson sails past Queen Victoria. 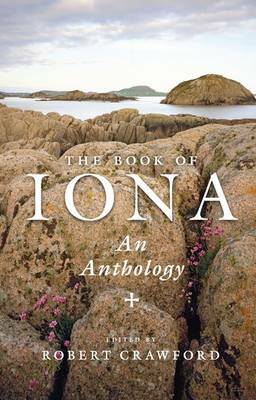 Full of surprises, this is an anthology that will delight every lover of Iona and all lovers of literature. Celebrates the fabled, former Second City of the British Empire. This major new anthology tells the story of the city through the words of 150 contributors, from Daniel Defoe to Bill Bryson. A fascinating history of Glasgow told from numerous perspectives. An anthology paying tribute to the life and work of Bobby Tulloch, compiled by his biggest admirers and closest friends. Beautifully illustrated throughout, it contains heart-warming and candid stories told by the people who knew him best. A fresh look at the two contrasting strands of Eardley’s work: extraordinarily candid paintings of children in the Townhead area of Glasgow and paintings of the fishing village of Catterline, with its leaden skies and wild sea. Drawing on a remarkable archive of sketches and photographs, this book offers an examination of her working process. 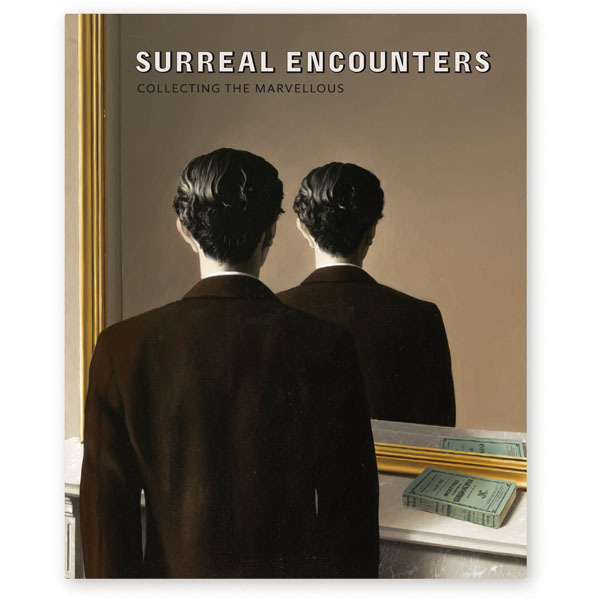 This book provides an exceptional overview of Surrealism, bringing together some of the world’s finest surrealist artworks from four renowned and extraordinary private collections: those of Roland Penrose, Edward James, Gabrielle Keiller and Ulla and Heiner Pietzsch. 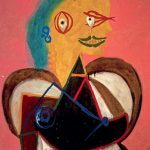 Featured artists include Salvador Dalí, Max Ernst, René Magritte and Joan Miró. A selection of outstanding Flemish drawings from the National Galleries of Scotland. 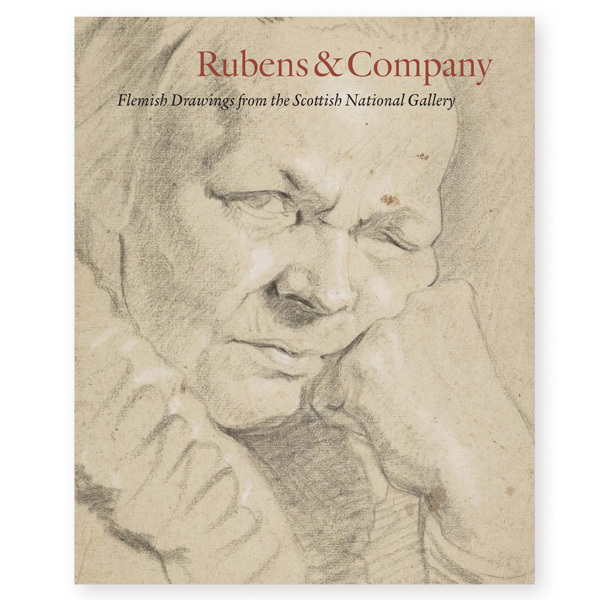 Many of these works by masters such as Rubens, Van Dyck and Jordaens are preparatory drawings or studies, offering a fascinating insight into the artistic processes of these revered artists. 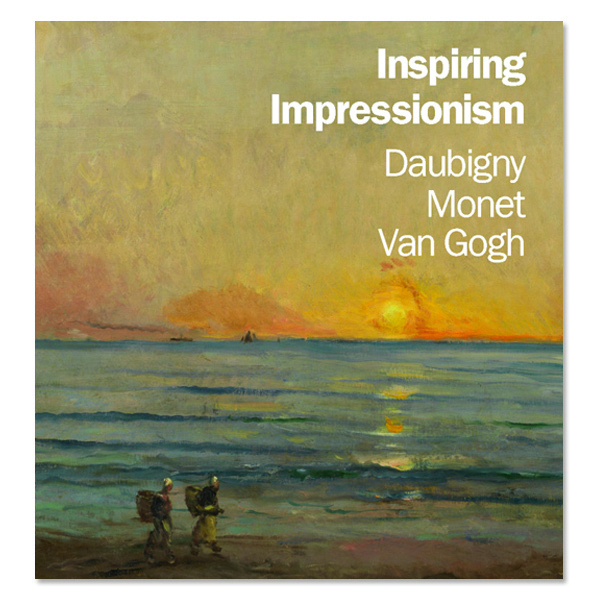 This book reassesses the work of Charles François Daubigny and examines his importance for the Impressionists, as well as Van Gogh. Daubigny helped to shape Impressionism through his working practice, routinely painting outdoors, exploring new subjects and unexpected viewpoints and developing a radically ‘unfinished’ style and a brighter palette. To celebrate the 150th anniversary of the National Museum of Scotland, this fully illustrated book showcases over 100 of its treasures, chosen from the departments of Scottish History and Archaeology, Art and Design, Science and Technology, Natural Sciences and World Cultures. Already feted as a World Heritage Site, Hadrian’s Wall continues to attract throngs of tourists every year. This collection contains many previously unpublished paintings of the landmark by Henry, Charles, and Thomas Richardson, a trio of brothers active between the 1830s and 1880s. Widely held to be the prettiest town in the Hebrides, Tobermory on the island of Mull is a photographer’s dream. In this collection, three local photographers showcase pictures which capture both the quaint and magical atmosphere of the area, as well as the strong sense of community in the town. 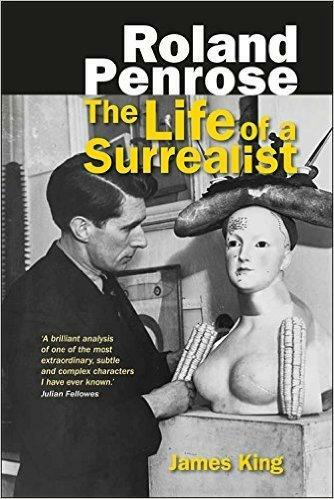 James King explores the intricacies of Penrose’s life and work, his complex professional and personal lives, his work as a biographer and as an art historian. Celebrates the extraordinary life of a flawed and lovable character, and provides a brief and accessible study of Hogg’s works. A fascinating biography of a worldrenowned scientist. Wiener was one of the thousands of Jewish children saved from Nazi persecution by the Kindertransport in the late 1930s. Academically gifted, he then had a distinguished career as a research scientist in Edinburgh, where he made a genetic discovery that received international recognition. This biography traces the life and career of Nicola Sturgeon, from her workingclass roots in Ayrshire, to her current position as leader of the SNP. In this updated edition, David Torrance analyses Sturgeon’s role in leading her party to a remarkable return to success in the 2015 general election. A warm-hearted, humorous and ultimately inspirational tale of a young man’s attempt to run an organic farm in the unforgiving Welsh hills. Despite the hardships, he never loses his belief that there is an alternative way to farm that is sympathetic to the earth and the animals in his care. Alexander Burnes was a renowned spy and the main antagonist of the ‘Great Game’ – Britain’s struggle with Russia for control of Central Asia and the routes to the Raj. An astonishing true tale of espionage, journeys in disguise, secret messages, double agents, assassinations and sexual intrigue. 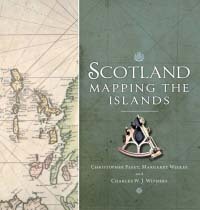 This stimulating and informative book reproduces some of the most beautiful and historically significant maps from the National Library of Scotland’s magnificent collection in order to explore the many dimensions of island life and how this has changed over time. Over the past four and a half centuries, the magnificent city of Oxford has been mapped for many reasons. This lavishly illustrated volume brings together sixty of the most remarkable maps and views of the area that have been made by friend and foe since 1575. A young howlat (owl) who believes he’s ugly seeks the help of the elaborate peacock to win the approval of Nature. However, when the howlat is accepted by the other birds, his arrogance forces the others to reconsider their decisions and take action. A classic Scottish poem, fully illustrated throughout. A young howlat (owl) who believes he’s ugly seeks the help of the elaborate peacock to win the approval of Nature. However, when the howlat is accepted by the other birds, his arrogance forces them to reconsider their decision and take action. A classic Scottish poem, fully illustrated throughout. The Celts and All That is a book bursting with blood-curdling battles and dead important details about the ancient Celts. 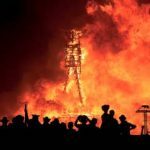 Everything you need to know about human sacrifice and headhunting is all here – plus a recipe for making your own Celtic bog butter! Mary, Queen of Scots And All That is packed with historical facts about Scotland’s headless heroine. Follow hot-blooded Mary’s lifelong rivalry with her frosty cousin, Queen Elizabeth I of England – and discover why the Queen of Scots gets her head chopped off. Robert the Bruce And All That is a reallife adventure packed with historical facts about Scotland’s warrior king. Gallop alongside King Robert the Bruce as he takes up the quest to free the Scots from terrifying King Edward and his bumbling son, Edward II. This is a fun and informative look at Scotland’s national bard and the times in which he lived. Meet the lassies who stole Burns’ heart and the creatures that inspired his poetry. Join his quest to rescue a lost musical treasure – and get chased by ghouls as he explores the dark side of life. The Vikings and All That is a skullsplitting saga about the wild, seafaring warriors who burst into history in the 8th century and looted, plundered, pillaged and burned their way from their native Scandinavia to the British Isles and much of Europe. William Wallace and All That is a reallife adventure packed with historical facts about Scot-land’s legendary hero. Join Sir William Wallace on his fearsome quest to free the Scots from villainous King Edward and his evil empire. A high-Victorian tale of the foul deeds of Burke and Hare, who kept Edinburgh’s anatomists supplied with freshly manufactured corpses. David Pae’s galloping nineteenth-century novel not only provides a fascinating window into the popular Victorian imagination but is also a highly entertaining novel in its own right. eBook exclusive short stories featuring Hew Cullan, together with Frances, Giles, Meg and other characters from the Hew Cullan series. 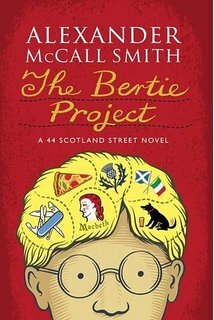 In the latest instalment of the 44 Scotland Street series, Bertie contemplates leaving Scotland Street for good when his overbearing mother returns. Meanwhile, Bruce has fallen in love with someone other than himself, Big Lou wants to adopt her beloved Finlay, while Matthew and Elspeth host the Duke of Johannesburg for supper. An injured Scottish soldier stationed in Gallipoli in 1916 falls for the nurse who tends to him. Cut off from allied troops, the pair escape through Turkey to refuge in Greece. However, tragedy strikes as they return together to Donald’s home in northern Scotland. A gripping and poignant account of love and loss during the Great War. A psychological thriller set in Edinburgh, Beneath the Skin is an exciting pageturner from debut author Sandra Ireland. It deals with the effects of trauma and how facing up to vulnerability is sometimes the only way to let go of the past. In his second Chinese novel, Dragon Games, Sendker picks up the story as his two protagonists – American journalist Paul and his Chinese girlfriend – face a new crisis. A troubling letter arrives from mainland China from Christine’s long lost brother and they feel compelled to come to his rescue. There they find a village in turmoil and his brother’s life in disarray. Best-selling author of 60 Degrees North, Malachy Tallack, explores two dozen islands once believed to be real but no longer on the map. These are the products of imagination, deception and simple human error. 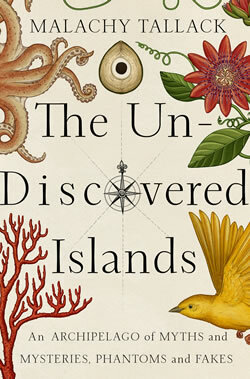 They are phantoms and fakes: an archipelago of ex-isles and forgotten lands. The authorised history of the last distillery to be established in Scotland in the second millennium. Copiously illustrated in full colour throughout. Scottish honey, with its fragrances of heather, meadowsweet, clover and birch, is a unique, magical ingredient. This book features many easy-to-prepare recipes drawing on this wonderful resource. Liz Ashworth introduces us to its versatility from dishes as varied as Medieval sweet pickled salmon and honey-spiced beetroot, to the delectable cranachan and more contemporary chocolate honey fudge cake. Leading cookery writer Sue Lawrence has now combined her passions for baking and Scottish cooking into one definitive book. A compendium of 70 easy-to-follow recipes, it brings together the traditional breads, scones and cakes that have shaped Scotland’s great baking heritage, as well as new contemporary recipes like Sticky Toffee Apple Cake. Marmalade is an iconic Scottish food, traditionally made every year in January and February when Seville oranges are available. This book will be the ideal Christmas stocking-filler for anyone interested in cooking, and an irresistible impulse-buy at any time of the year. This is – in the opinion of many whisky writers and experts – the finest whisky book ever written. A remarkably prophetic book, and with Ian Buxton’s shrewd commentary and analysis, combined for the first time with period illustrations, it is brought bang up to date for today’s generations of whisky aficionados. A favourite haunt of holidaymakers, the Isle of Arran is also a place of fascination for geologists, offering a huge variety of rocks that represent a massive slice through geological time. This book is a fascinating introduction to the landscape of Arran – one of the significant geological areas of the country. Alan McKirdy tells the history of Cairngorms, an area which attracts climbers, walkers and assorted adventurers who want to pit themselves against some of the most challenging conditions to be found anywhere in the UK. A fascinating exploration into Edinburgh’s geological history over millions of years – including the passage of ice during a great freeze that has left an indelible stamp on Edinburgh’s cityscape, and the coal deposits and oil shale which were exploited from the Industrial Revolution to the present day. The Isle of Skye offers a magical combination of wild land and breathtaking natural beauty. Skye’s geological history involves some of the most ancient rocks on the planet. This book provides key information about the island’s formation and the on-going processes of natural landscape evolution that continue to leave their mark on these spectacular vistas. Comprehensive study of thousands of names of streets, rivers, hills and other places within the modern city of Edinburgh, with a detailed historical and literary overview provided by the author. Ideal for dipping into. Recognised as the standard reference work on the subject. Orkney’s Neolithic archaeology is truly extraordinary. The excavations during the Cuween-Wideford Landscape Project provided an unprecedented depth of evidence for Neolithic occupation, bridging the gap between domestic and ceremonial architecture, exploring the transition from wood to stone, and the role of material culture. The results are described and discussed in detail here. The archaeological sites of Orkney give an unparalleled glimpse into prehistory. Four great monuments – the village of Skara Brae, the Ring of Brodgar, the Stones of Stenness and the burial mound of Maeshowe – are also at the centre of the archipelago’s story. This book looks at what makes these monuments so special. 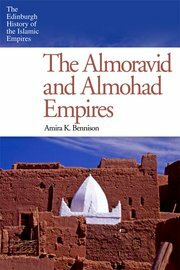 The first book in English to provide a comprehensive account of the rise and fall of the Almoravids and the Almohads, the two most important Berber dynasties of the medieval Islamic west. 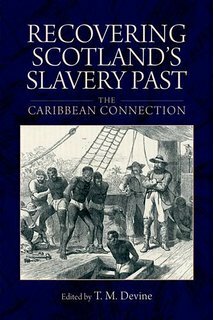 The first book to strip away the myths and write the real history of Scotland’s slavery past. Epitomised by political, social and technological change this history appraises a fast-evolving century, from the outbreak of World War I up to the present and the politics of devolution. Brings alive the excavations at Portmahomack and its discoveries, most famously a monastery of the eighth century in the land of the Picts. Abbotsford to Zion highlights the curious and the accidental – the Gretna Greens and the Xenias. 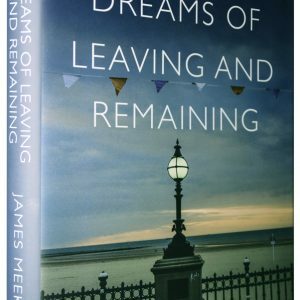 It tells how Scots-born innkeepers and postmen who happened to be in the right place at the right time gained immortality. It looks at why developers used Scotland’s image to sell real estate and how homesick emigrants recalled the land they had left. This is the second volume of Kenneth Roy’s trilogy on the history of Scotland since WWII. 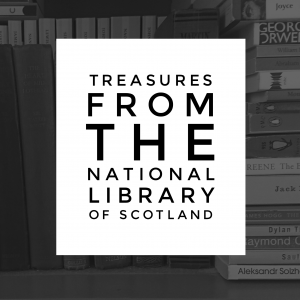 The first volume, The Invisible Spirit: A Life of Post-War Scotland 1945–75, met with immediate acclaim. This new volume brings the story much closer to the present day and traces the social, political and cultural threads which lead directly to the Scotland we live in today. The second of two volumes on the resistance to the Jacobite invasion of 1745. It includes a detailed study of the sixty-three locally based companies of the Argyllshire Militia of 1745–6, covering every corner of this fascinating county, from Kintyre to Ardnamurchan, from Islay to Genorchy. This book reveals how, in Scotland, as in other societies, death ways and funeral arrangements are closely related to other aspects of life, from religious beliefs to political convictions, from family relationships to class structure, and from poverty to prosperity. During the 18th century, Edinburgh was the intellectual hub of the Western world. In this informative and highly-illustrated guide, Sheila Szatkowski introduces the reader to the noteworthy buildings and people of 18th and early 19th-century Edinburgh. Returning to the subject since the first edition of The Fall of the Tay Bridge in 1994, David Swinfen has meticulously analysed new evidence and now presents a solution to the riddle which has perplexed historians and engineers for generations: what really brought the bridge down? In this major new book, Christopher Whatley describes the several contests there were to ‘own’ – and mould – Robert Burns, from Tories through Radicals to middle-class urban improvers. The result is a fascinating picture of the role Burns played after his death in shaping multiple facets of Scottish society. 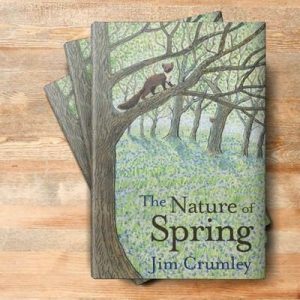 This book describes the author’s extraordinary transition from a hectic urban lifestyle working for a London advertising agency to one of rural isolation and self-sufficiency on the small island of Soay, accessible only by fishing boat. The written records of Islay are varied, rich and rewarding. This anthology distils the essence of Islay through a very personal selection of writing. Some of the writing is profound, some of it quirky, but all reveals a fascinating aspect of Islay that together presents a revealing and moving ‘people’s history’ of Islay. Tir a’Mhurain is a collection of photographs that reflects the impressions gathered by Paul Strand and his wife Hazel during their 3-month visit to the Hebrides in 1945. Juxtaposing people and landscape, Strand’s beautifully sequenced photographs depict the perfect complicity he saw between nature and habitation in their wild terrain. 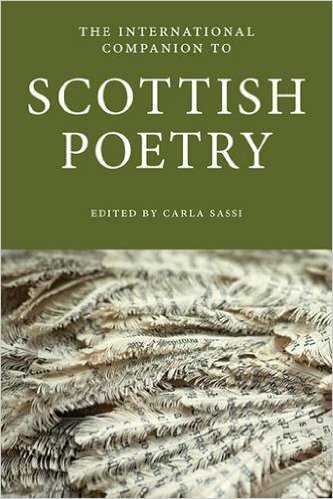 A range of leading international scholars provide the reader with a comprehensive and accessible introduction to the extraordinary richness and diversity of Scotland’s poetry. This International Companion covers the entire subject from early medieval texts to contemporary writers, and examines English, Gaelic, Latin and Scots verse. 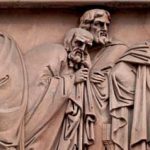 Christopher MacLachlan & Ronald W.
Ranging from Sir Walter Scott to the writers of the fin de siècle Celtic Revival, fourteen essays show how Highland–Lowland interactions shaped Scottish literature in the nineteenth and twentieth centuries. Edwin Morgan produced an incredible range of work, from the playful to the profound. This International Companion guides the reader along Morgan’s astonishing, multi-faceted trajectory through space and time, providing an essential and accessible general introduction to his life and work. Lewis Grassic Gibbon is one of the most important Scottish writers of the early twentieth century. This International Companion examines his works within the social, political, and literary developments of his time, and demonstrates Gibbon’s continuing relevance as a writer both in Scotland and internationally. 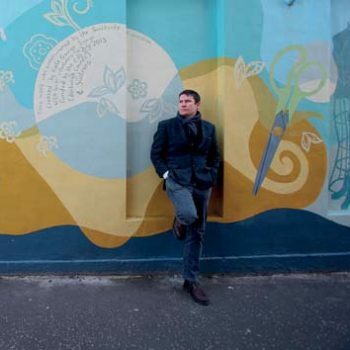 The Space of Fiction shows how contemporary Scottish novelists illuminate a post-national, cosmopolitan, multicultural and even globalised Scotland. Professor Pittin-Hedon explores their notions of space and place, and questions the impact of fiction on the nature of identity. The year 1967 ended in social meltdown, rancour and intense legal warfare as the complex threads that held Detroit together finally unravelled. Detroit 67 is the story of Motown, the break-up of The Supremes and the damaging disputes at the heart of the most successful African-American music label ever. The classic three volumes of Hebridean Folksongs, reissued simultaneously for the first time since their original publication, contains 135 songs connected with the waulking of homespun tweed cloth in the Hebridean isles. Volume 1 is based on waulking songs collected by Donald MacCormick in South Uist in 1893. The classic three volumes of Hebridean Folksongs, reissued simultaneously for the first time since their original publication, contains 135 songs connected with the waulking of homespun tweed cloth in the Hebridean isles. Volume 2 is based on John Lorne Campbell’s recordings of songs made between 1938 and 1965 in Barra, South Uist, Eriskay and Benbecula. The classic three volumes of Hebridean Folksongs, reissued simultaneously for the first time since their original publication, contains 135 songs connected with the waulking of homespun tweed cloth in the Hebridean isles. Volume 3 is based on John Lorne Campbell’s recordings of songs made between 1938 and 1965 in Barra, South Uist, Eriskay and Benbecula. 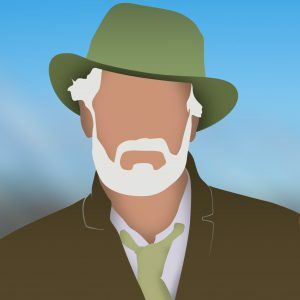 A compilation of John McNeillie’s (pen name Ian Niall) best nature writings drawn from his published works and articles edited by his daughter Sheila Pehrson. Illustrated by Barbara Greg. From the Line brings together the best of Scotland’s poetry from the two World Wars: 138 poems, from fifty-six poets, are represented here, from both men and women, from battlefields across the world and from the Home Front, too. Age comes to us all. It is not a unique phenomenon, but it is personal, and it can be perplexing. Poetry gives us a fresh way to think about growing older, and these poems, introduced by Sally Magnusson, celebrate maturity, widen perspectives and confront the inevitable. 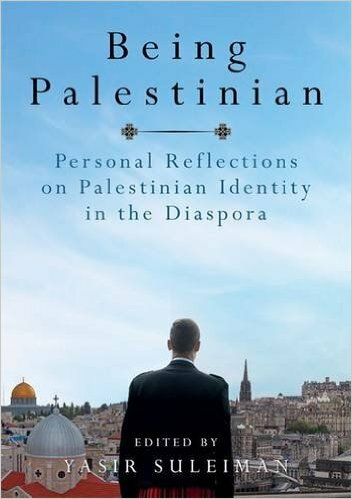 In this groundbreaking volume, 102 Palestinians in North America and the United Kingdom reflect in their own words on what it means to be Palestinian in the diaspora. What is human trafficking? This volume critically examines the competing discourses surrounding human trafficking, the conceptual basis of global responses and the impact of these horrific acts worldwide. Tam Dalyell offers a personal reflection on why the UK is on the brink of the most serious constitutional crisis in its history. But this is not just a history of why we have ended up where we are. Dalyell also offers sage advice and suggests ways forward which will inform debate as the UK moves into a new political era. This authoritative, entertaining and eminently browsable reference book, arranged in easily accessible A–Z format, is an absorbing and imaginative feast of Scottish lore, language, history and culture, from the mythical origins of the Scots in Scythia to the contemporary Scotland of the Holyrood parliament and Trainspotting. Behind the Lions sees six esteemed rugby writers from across the Home Nations delve to the heart of what it means to be a Lion, interviewing a vast array of former and current players to uncover the passion, pride and exhilaration experienced when wearing the famous red jersey. Behind the Ryder Cup unveils the compelling truth of what it means to play in golf ’s biggest match-play event, where greats of the game have crumbled under pressure while others have carved their names into sporting legend. This is a history of the Ryder Cup like you have never experienced it before. Behind the Silver Fern unveils the compelling truth of what it means to play for the team that has dominated Test match rugby for over a century – all the trials and tribulations behind the scenes, the glory, the drama and the honour on the field, and the passionate friendships and bonds of a brotherhood off it. Mary Decker’s clash with Zola Budd at the 1984 Los Angeles Games is one of the biggest and most controversial events in Olympic history. Jason Henerson tells the fascinating story of a sporting headto-head that gripped the magination of the world. This is the remarkable story of Floyd Mayweather’s ascent from bleak origins to become the highest-paid sportsman on the planet. It is a story of greed, arrogance, abuse, extraordinary boxing ability and unrivalled ambition. This is the ultimate history of Irish rugby – told, definitively, by the men who have been there and done it. With exclusive new material garnered from 115 interviews with players and coaches from across the decades, No Borders unveils the compelling truth of what it means to play for Ireland at Lansdowne Road, Croke Park, the Aviva Stadium and around the world. Candid and inspiring if you are preparing for your first marathon or your 100th, Running The Smoke will give you the encouragement, insight and belief you need to cross that line. A no-holds-barred, jaw-dropping insight into the true power-brokers of the world game: the moneymen and dealmakers who grease the wheels – or, more accurately, the palms – that make the whole football machine tick. It doesn’t just lift the lid on the true face of professional football, it tears it off and hurls it across the room. Sixty Degrees North is an intimate book, one that begins with the author’s loss of his father and his own troubled relationship with Shetland, and concludes with an acceptance of loss and an embrace – ultimately a love of the place he calls home. Faced by declining coverage in newsprint, is the role of the professional literary critic moribund? Where does the reader go for both a critique of a new work and re-examination of a classic? If you care about the future of reviews, literary criticism and Scotland’s cultural identity this is the event for you. Alan Taylor, Editor of Scottish Review of Books leads an expert panel to explore the issues. SCOTTISH REVIEW OF BOOKS EMERGING CRITICS SERIES Into the Unknown- What Future For Critics in the Digital Age? 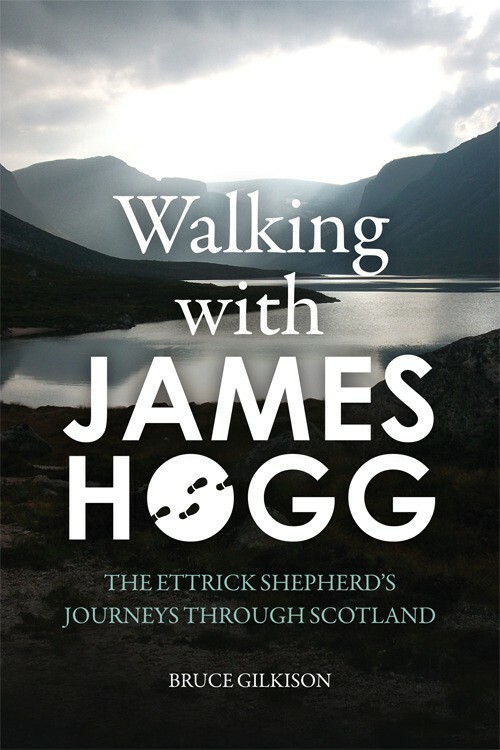 As the 19th century dawned, James Hogg set out on a series of walking journeys from the Borders to the Highlands and the Hebrides. 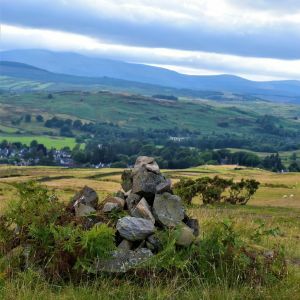 Bruce Gilkison, the Ettrick Shepherd’s great-great-grandson, has retraced those walks for new book Walking with James Hogg and today he talks to Sheena McDonald to share what he learnt about his flawed, lovable, eccentric ancestor. 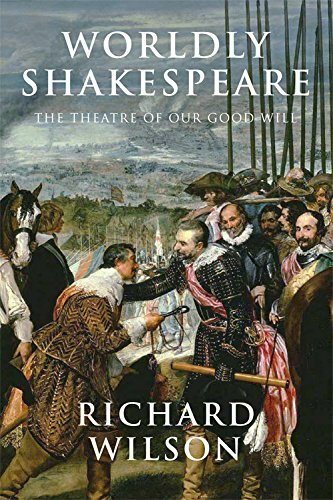 In Worldly Shakespeare, Richard Wilson analyses the Bard’s ideas, arguing that they remain powerfully relevant in a time of globalisation, Facebook and fundamentalism. The Professor of Shakespeare Studies at Kingston University shows that Will’s worldly approach was born against the backdrop of war, revealing much about 21st century antagonisms such as martyrdom, surveillance and paranoia. Chaired by Stuart Kelly. Two 20th century ‘isms’ are explored in new books by James King and Sarah Bakewell. Bakewell’s At the Existentialist Café investigates Sartre, de Beauvoir, Camus and other figures in 1930s Parisian intellectual life. King’s Roland Penrose is the first biography of an English artist and collector who befriended Surrealism’s leading thinkers: Ernst, Breton and Éluard. Can such epoch-making movements happen again? Chaired by Stuart Kelly. 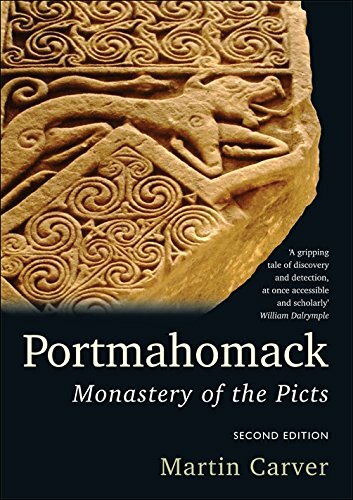 After 20 years of archaeological research, Martin Carver (Professor Emeritus at the University of York) has published Portmahomack: Monastery of the Picts, a vivid account of the demise of the Picts and rise of the Norse and Scots. The key to his work lies in the fishing village of the book’s title, where Carver undertook one of the largest excavations in Scotland’s history, creating a unique picture of its ancient past. Did slavery help make Scotland great? That’s the uncomfortable question at the heart of a project led by Scottish historian Sir Tom Devine. In Recovering Scotland’s Slavery Past, edited by Devine, leading scholars reveal telling details, such as compensation paid to Scottish owners when slavery was abolished. Can Scotland be described as an abolitionist nation, untainted by a slavery past? Perhaps not after this event. 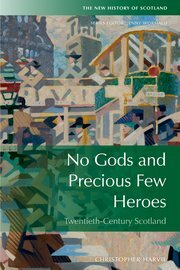 ‘No Gods and Precious Few Heroes’ is former SNP politician Christopher Harvie’s history of 20th century Scotland. When its third edition was published in 1998 it was described as ‘a masterly synthesis of the most important… developments in Scotland’s recent past.’ Now, Harvie has updated his classic for a defining era of Scottish history. He discusses recent events in Scotland with former Labour politician, Tam Dalyell. Life in the Occupied Territories is frustrating and often humiliating. Ben Ehrenreich’s The Way to the Spring is a searing, game-changing account of reality in the West Bank, and a furious, provocative testament to the futility of occupation. He is joined by Yasir Suleiman, whose touching book Being Palestinian presents over 100 testimonies from Palestinians of all backgrounds. The rich and complex history of Islam has many facets, but few Islamic empires have had quite such an influence on European history as the two Berber dynasties from the Maghreb that ruled much of southern Spain and north Africa between the 10th and 13th centuries. Cambridge University’s Amira K. Bennison presents The Almoravid and Almohad Empires, the first book in English that explores their influence and lasting impact. There has been much media discussion recently about economic migration, but what about human trafficking – the forced movement, enslavement and exploitation of people across the world? 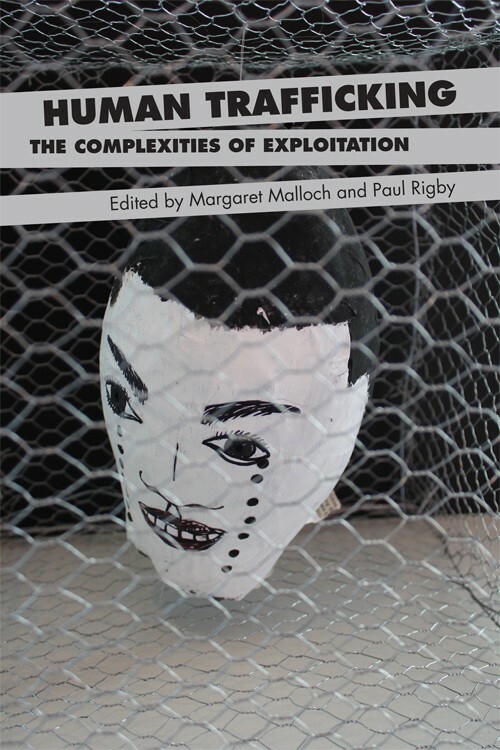 Stirling-based experts Margaret Malloch and Paul Rigby have produced a timely and necessary book exploring the experiences of victims and perpetrators involved in this hidden world of socioeconomic (and often sexual) exploitation. Chaired by Ruth Wishart.